For all your tree felling, bucking, de-limbing and other thinning operations, turn to the MS 362 chainsaw. 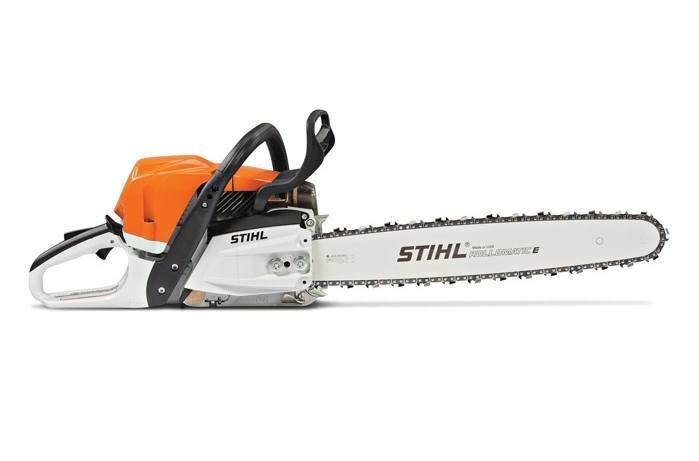 With its reduced weight and large fuel capacity, this saw mixes great power with fuel efficiency. Its advanced engine technology reduces exhaust emissions to provide you with a dependable tool for the jobsite. The MS 362 also runs longer between filter cleaning and features a lifetime air filter that you do not need to replace - just keep clean. The MS 362 is a no-fuss, hardworking chainsaw that will satisfy any professional tree or forestry personnel as well as firewood cutters.